This article will teach users how to log in with the new iOS update to Inigo. 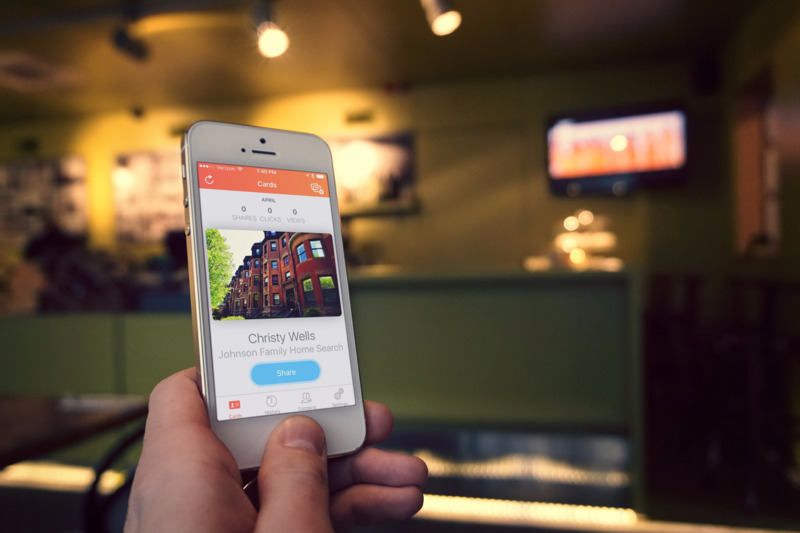 Hello, we're very excited to announce that we have released a major update to the Inigo App for iPhone! We hope that you will enjoy all of the new features! Use the login method that you first signed up with, such as Facebook, Google Plus, or email. If you try to use a different login method, you will not see the correct account. 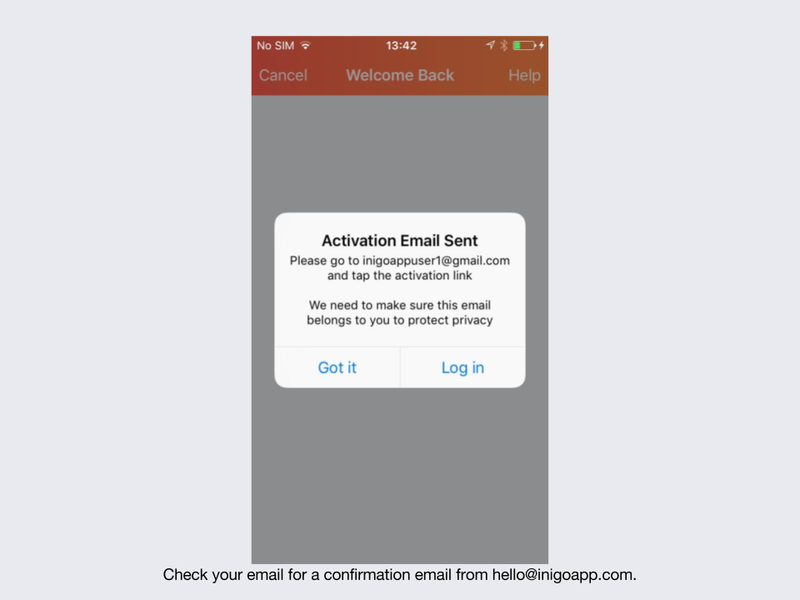 If you do not remember the email address that you used when first logging in, please contact us at contact@inigoapp.com. We'll be happy to help! To log in to an existing account that was accessed by email, please select "Your team already on Inigo? Sign in" on the bottom of the "Get Started" page. Select "sign in with email," and input your email address in the pop-up window. Your account will open to the new account homepage, also called the "Cards" page. 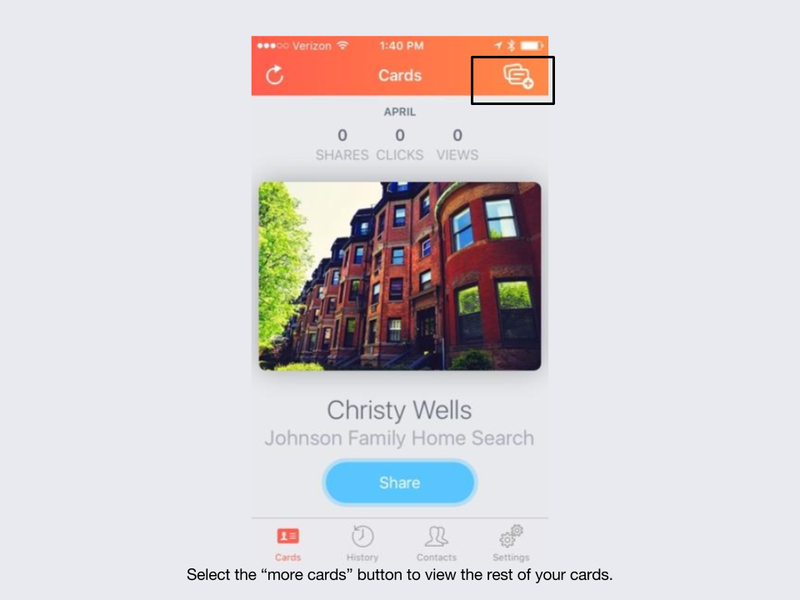 Instead of all of your cards appearing at once, your additional cards will be available by pressing the button in the top right-hand corner. To log in to an existing account that was first accessed by a Facebook authorization, please select "Your team already on Inigo? Sign in" on the bottom of the "Get Started" page. Select "sign in with Facebook," and you will be redirected to the Facebook app to authorize your account. 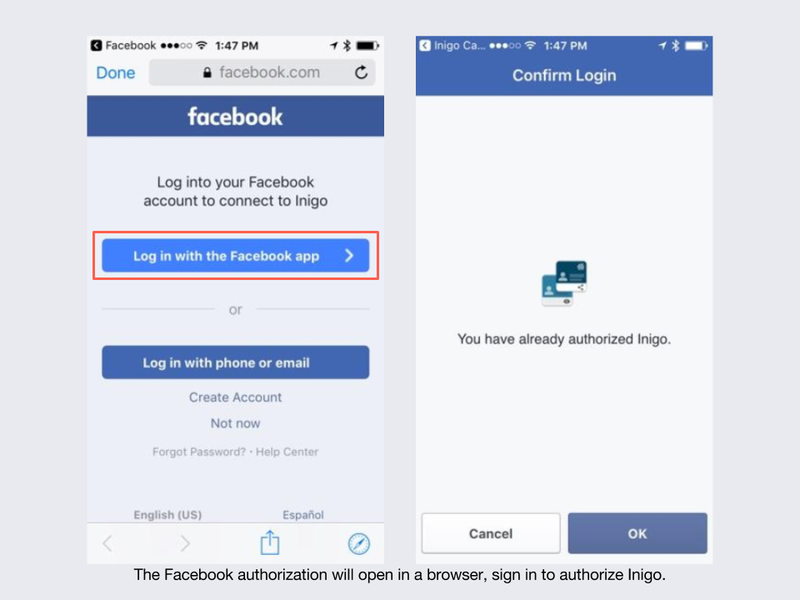 If the page redirects you to a browser on your phone, select "login with the Facebook app" for the quickest authorization. To log in to an existing account that was first accessed by a Google Plus authorization, please select "Your team already on Inigo? Sign in" on the bottom of the "Get Started" page. Select "sign in with Google," and you will be redirected to a browser page where you can view your Google accounts. 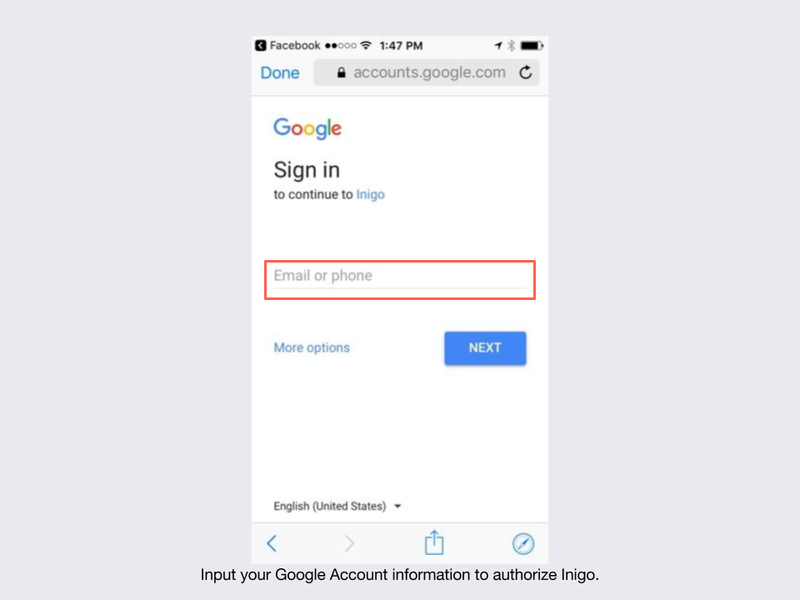 To authorize your account select the appropriate Google account, or input a new one. To log in to an existing account that was first accessed by a Linkedin authorization, please select "Your team already on Inigo? Sign in" on the bottom of the "Get Started" page. 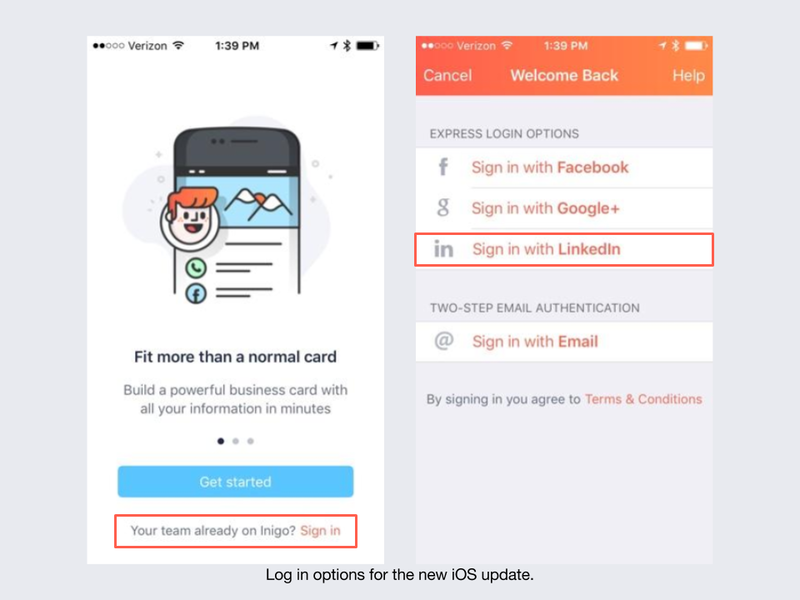 Select "sign in with Linkedin," and you will be redirected to the Linkedin App or a Linkedin browser page. 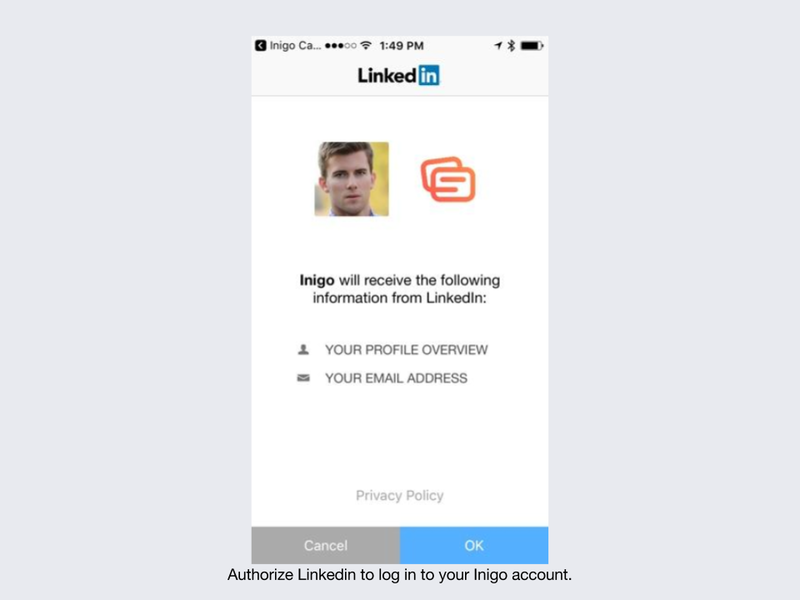 You may log into Linkedin to authorize the account for Inigo, or if you are already logged in, you will be asked to give permission to Inigo. If you have any comments or concerns about using the new iPhone app, please reach out to us at contact@inigoapp.com.